JCD is an add-on product for major brand projectors, that functions as an overall control interface and provides advanced creative tools.  Through JCD you will find private WLAN-Hotspots at your command, on the LAN interface you can dispose amongst others of: Art- NetTM, DMX512, OSC, MQTT (IoT Device) and its own intuitive JCD interface. ArtNet/DMX512 to RS232/Command converter – control your projector from any lightdesk! (*) functionality depends on projector. Through this interface most of the commands that usually require the RS232 can be controlled. Apart from basic commands for projectors with motor driven lenses, the control possibilities include, but are not limited to absolute focus and zoom, lens memory, shutter and (for laser projectors) brightness control; in combination with the dynamic projection this opens a wide range of new creative possibilities. JCD is the missing link between projectors and the modern IoT and interactive systems standards.